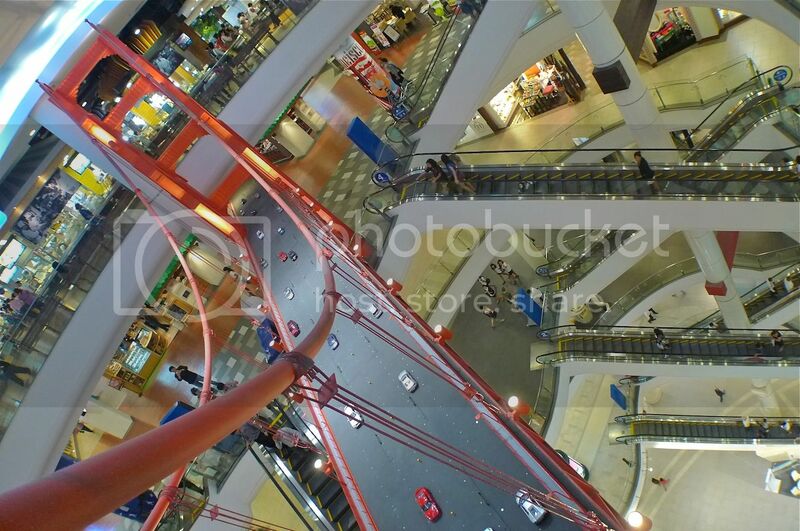 During my recent trip to Bangkok, I visited one of their newest shopping malls called Terminal 21. 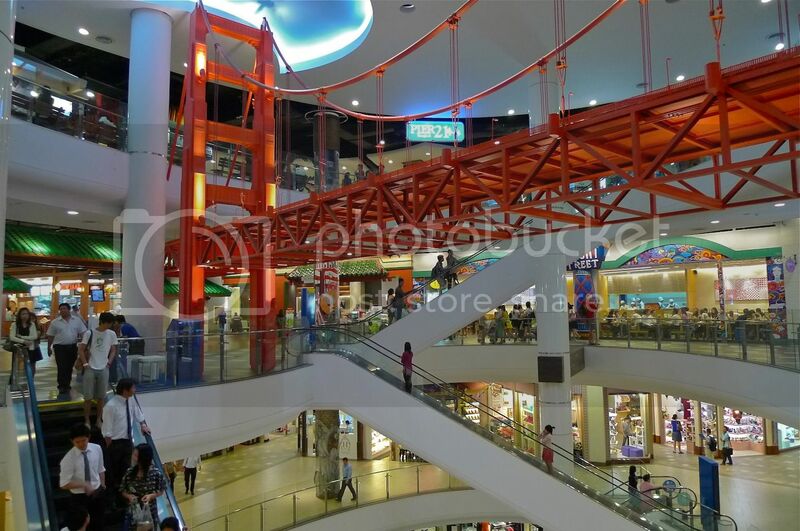 Located in the Sukhumvit area, this 9-storey mall can be easily accessed using either the BTS Skytrain or MRT train service. If you are using BTS, stop at the Asoke Station, but if you are using MRT, stop at the Sukhumvit Station. The Asoke Station is preferable since it is directly connected to Terminal 21 via Exit 1. However, Sukhumvit Station is not really far - you just need to cross the road and walk a little bit further. 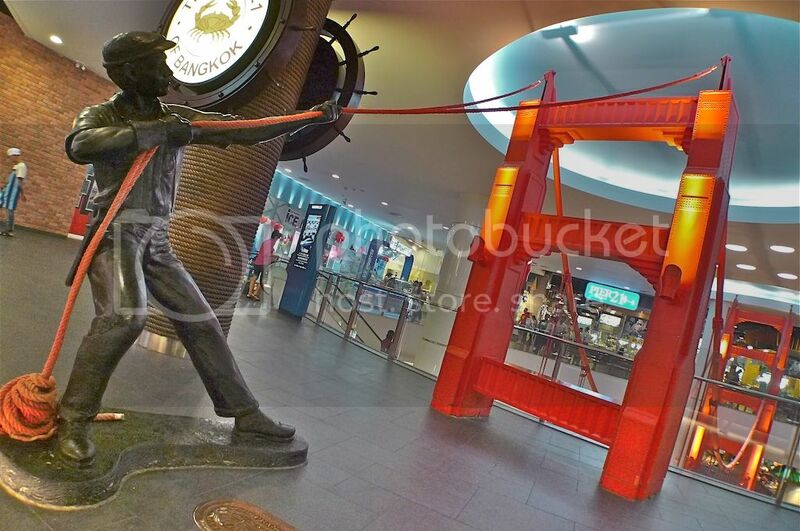 Although the toilets in Terminal 21 are awesome and they are certainly a MUST VISIT for every visitor to the mall, there are other equally interesting things to see. 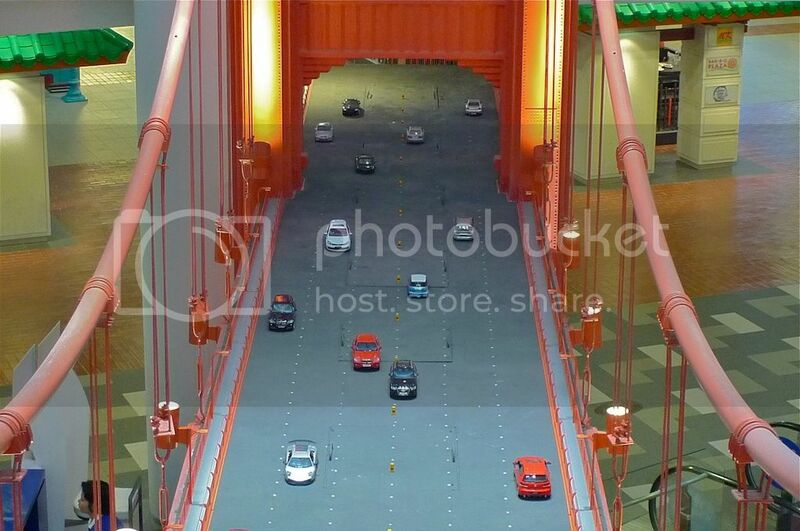 One of them is the famous Golden Gate Bridge of San Francisco. 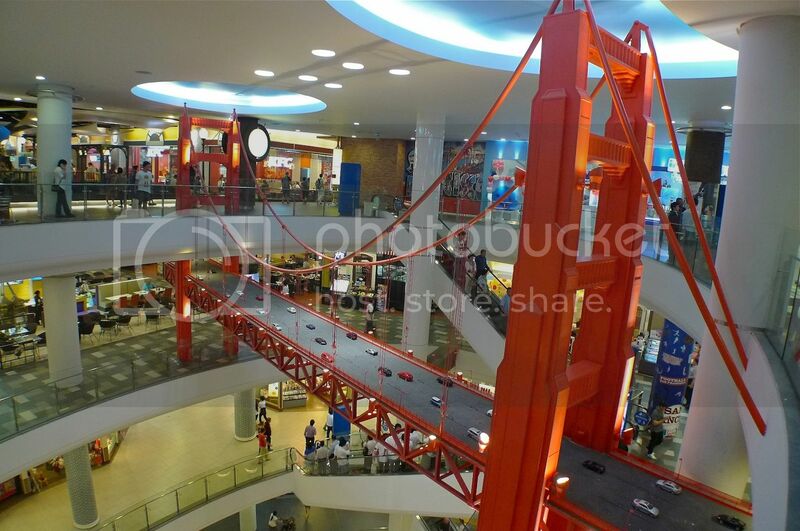 Located somewhere in the middle of the mall, this replica of that infamous San Francisco bridge is constructed over 2 floors - the 4th and 5th floors. I was at the 4th floor when I took this photo. 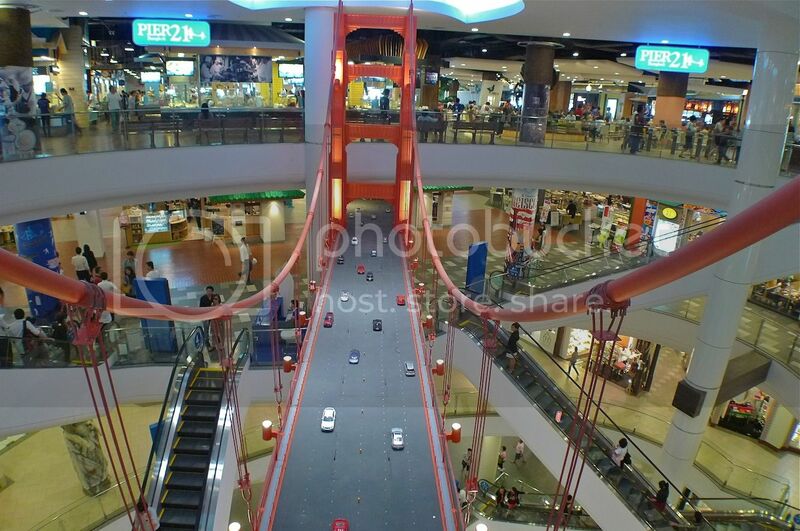 When I went up to the 5th floor, I could actually see cars on the bridge! 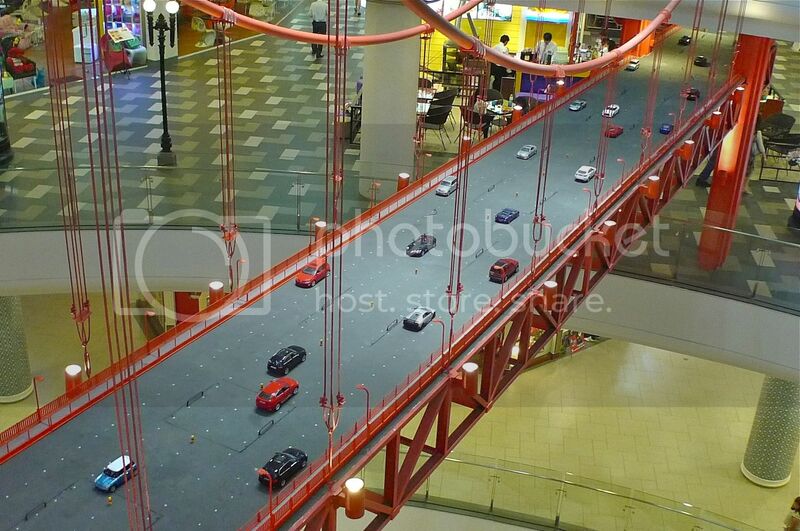 What an awesome bridge! I love it! 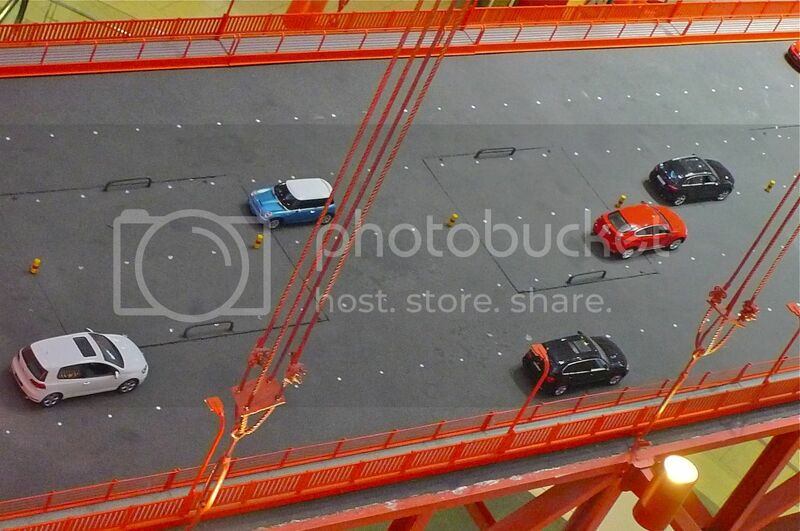 A close shot of the cars. They look quite real, don't you think so? On the other side of the bridge is Pier 21, a multi-restaurant food court. My friend and I had our lunch there and the food were not bad! More about the food in another post. 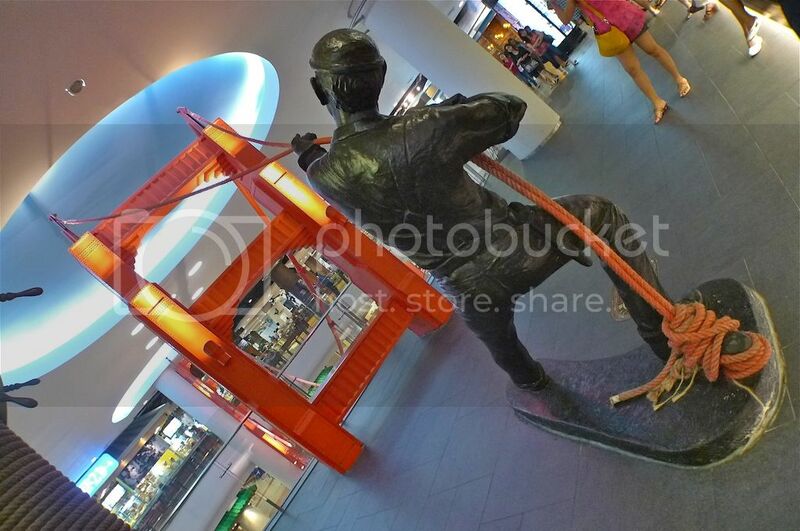 As mentioned in my earlier posts, every floor of Terminal 21 represents a famous city or place. 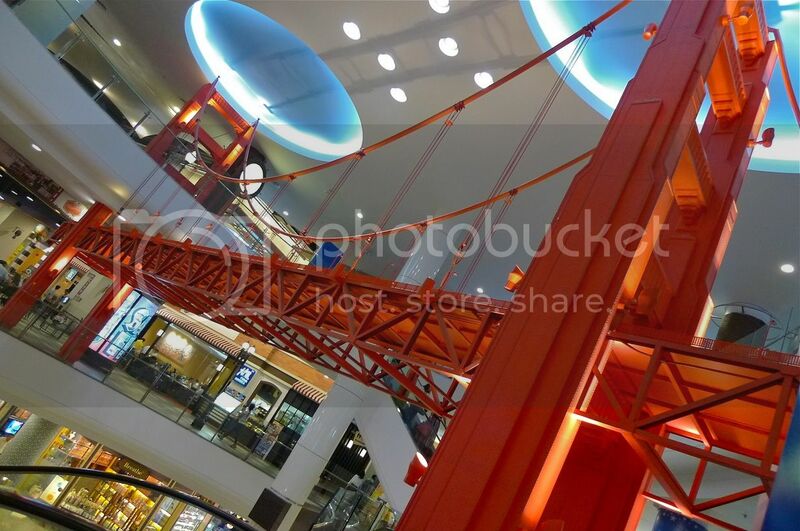 Both the 4th and 5th floors are San Francisco-themed floors so this Golden Gate Bridge is the perfect landmark to represent this city. At one end of the bridge, I was amused to find a man pulling the ropes connected to the bridge. I thought this was a pretty creative piece of work! Besides the bridge, there is also the romantic San Francisco tram on the 4th floor which I will blog about in a future post.